DUBAI, United Arab Emirates -- An official in U.S. President Donald Trump’s Cabinet and at least one of his advisers gave paid speeches for organizations linked to an Iranian exile group that killed Americans before the 1979 Islamic Revolution, ran donation scams and saw its members set themselves on fire over the arrest of their leader. 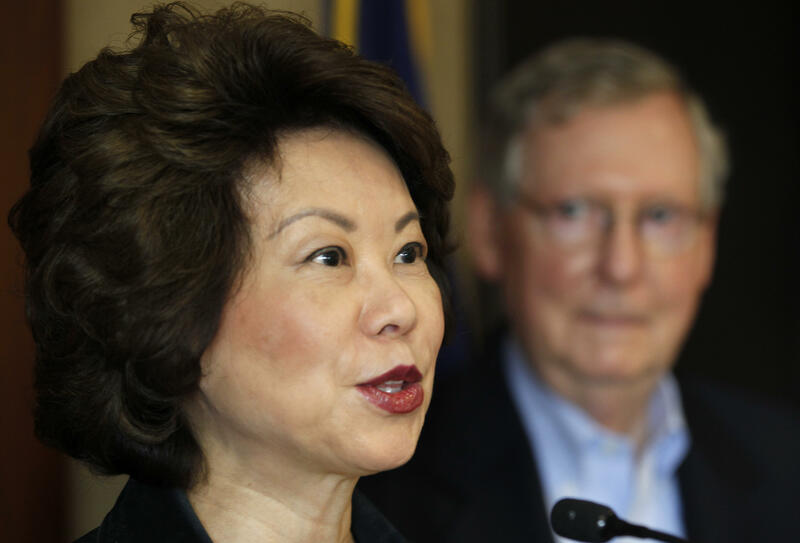 Elaine Chao, confirmed this week as Mr. Trump’s transportation secretary, received $50,000 in 2015 for a five-minute speech to the political wing of the Mujahedeen-e-Khalq, previously called a “cult-like” terrorist group by the State Department. Former New York Mayor Rudy Giuliani also was paid an unknown sum to talk to the group, known as the MEK. Already, a group of former U.S. officials, including Giuliani, wrote a letter to Trump last month encouraging him to “establish a dialogue” with the MEK’s political arm. With Trump’s ban on Iranians entering the U.S. (currently blocked by federal courts), his administration’s call this week to put Iran “on notice” and the imposition of new sanctions on Friday, the exile group may find his administration more welcoming than any before. Iran pushes back after U.S. puts it "on notice"
The MEK long has cultivated a roster of former U.S. and European officials to attend its events opposing Iran’s clerically run government. It pays for the appearance of many. Chao received a $50,000 honorarium from the MEK-associated Alliance for Public Awareness, according to a report she filed with the U.S. Office of Government Ethics. Chao received another $17,500 honorarium for March 2016 speech she gave to the Iranian-American Cultural Association of Missouri, which MEK opponents also link to the exile group. The MEK fled Iran and later found refuge from Iraqi dictator Saddam Hussein. Heavily armed by Saddam, MEK forces launched cross-border raids into Iran during its with war with Iraq, further alienating the group from average Iranians. The MEK says it renounced violence in 2001. A couple years later, President Obama removed the group from the State Department list of terrorist organizations. The MEK’s success in getting former U.S. officials behind them could be seen in a letter dated Jan. 9 sent to Trump just before his inauguration. “We repeat the call for the U.S. government to establish a dialogue with Iran’s exile resistance,” read the letter signed by Giuliani and others. But while the MEK continues to pay former U.S. officials for their time, the family of the American lieutenant colonel killed in Iran in 1975 has filed a $35 million federal lawsuit in Colorado against the group and Iran.